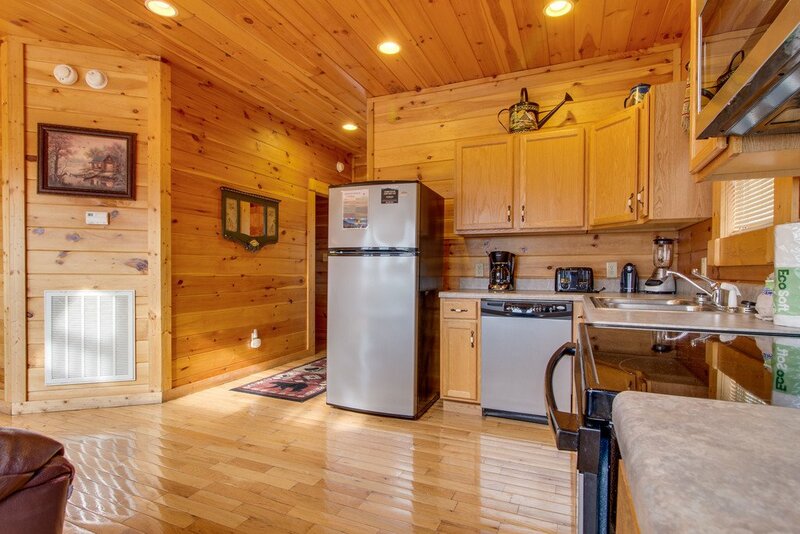 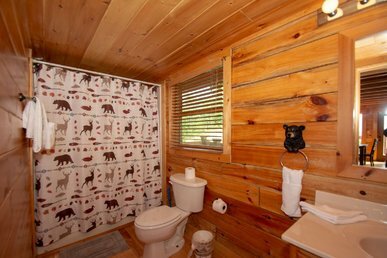 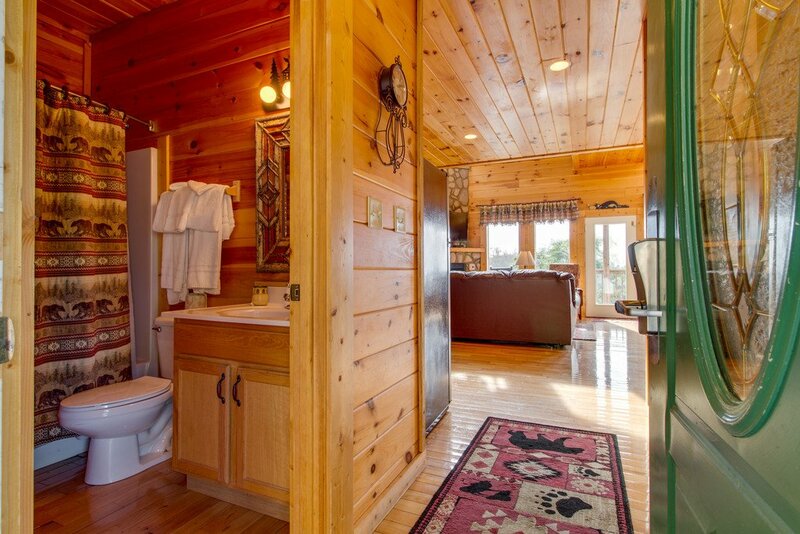 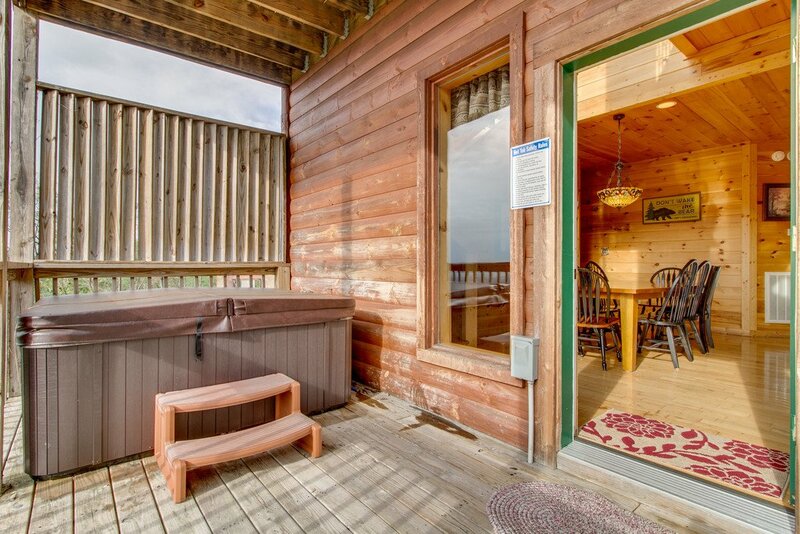 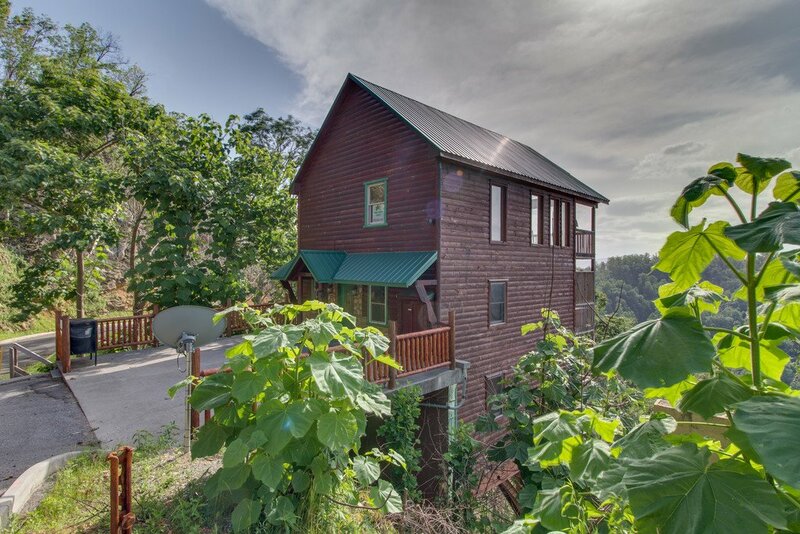 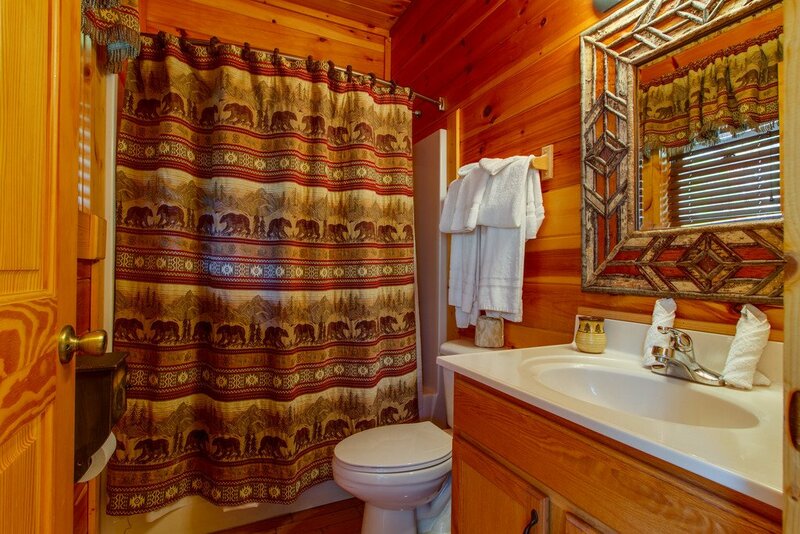 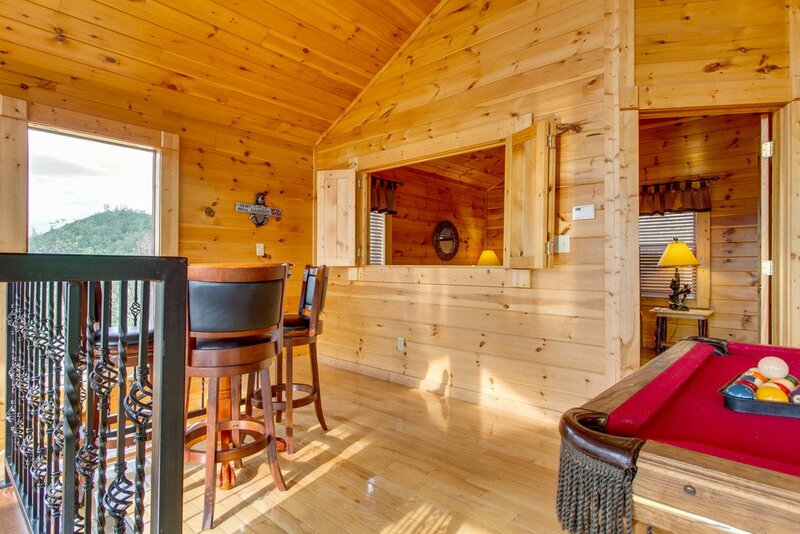 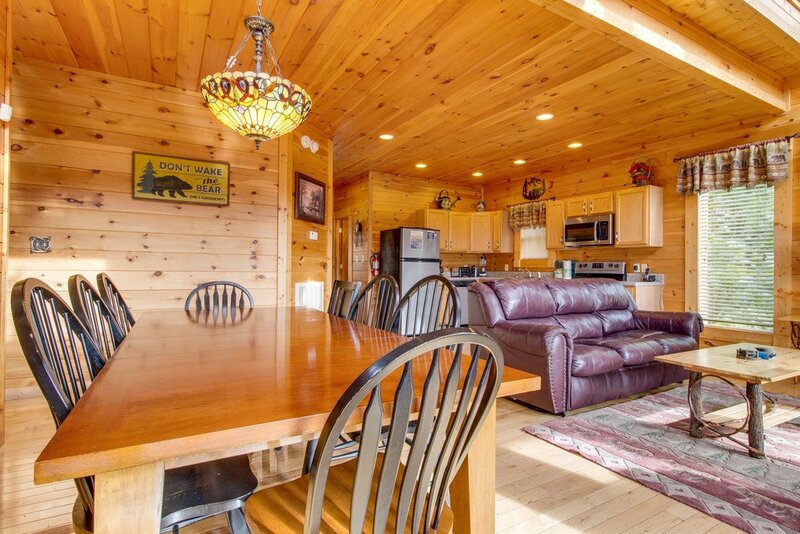 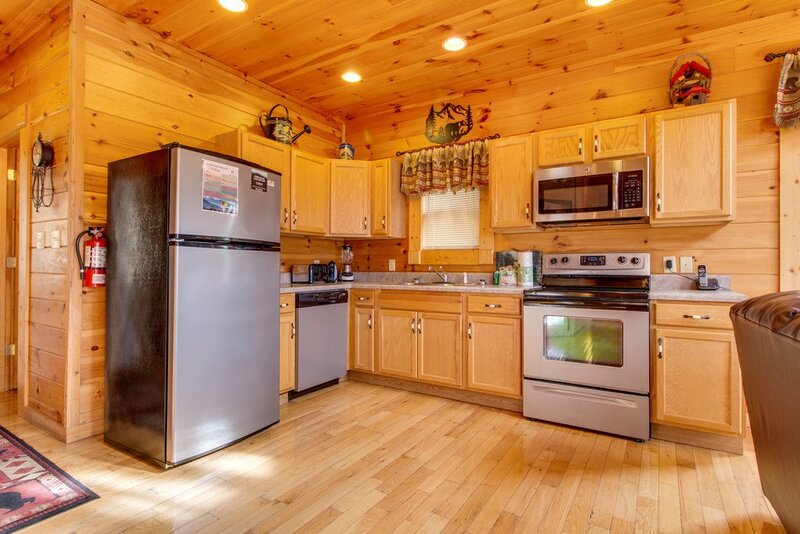 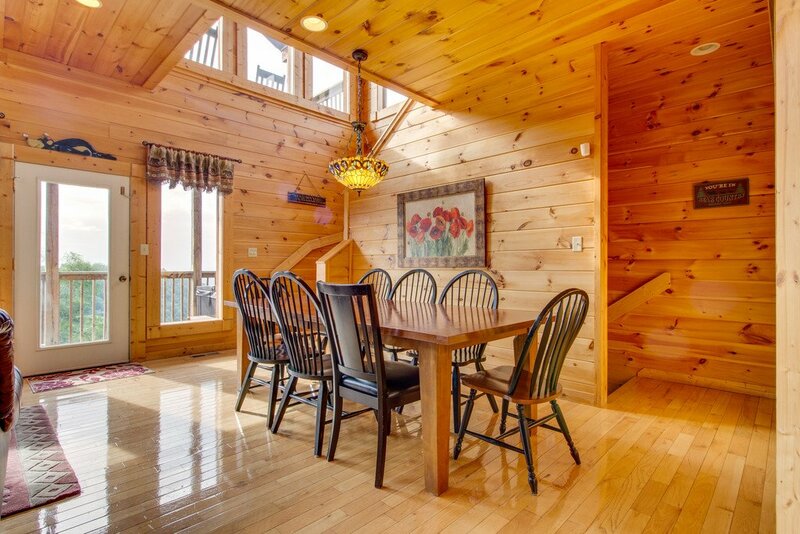 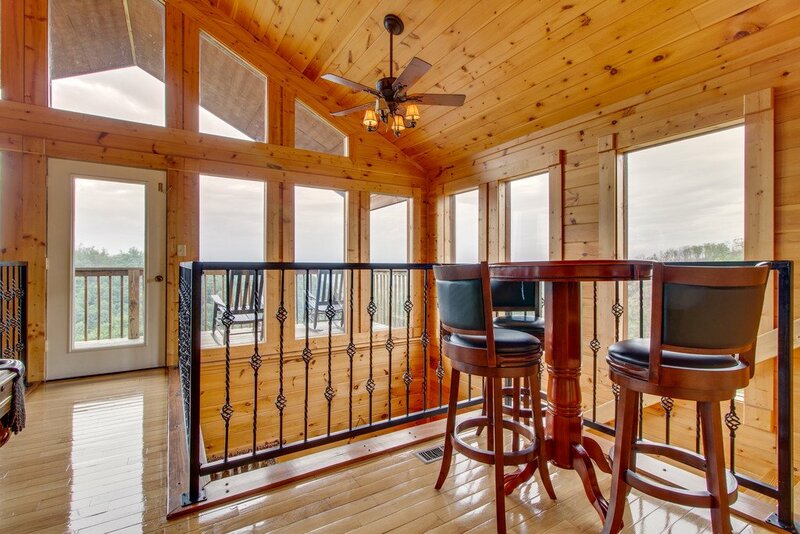 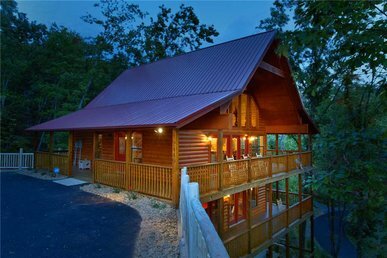 Panoramic Point is a beautiful three-bedroom, three-bathroom cabin that offers a fully equipped kitchen and dining table. 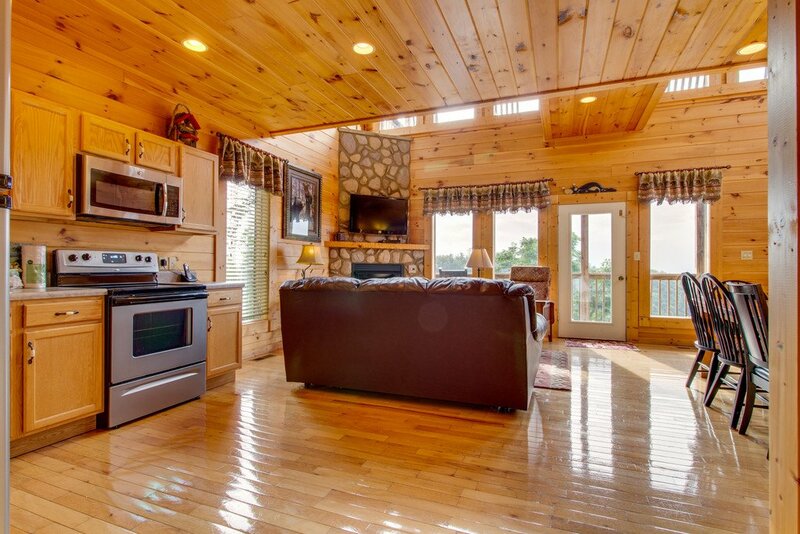 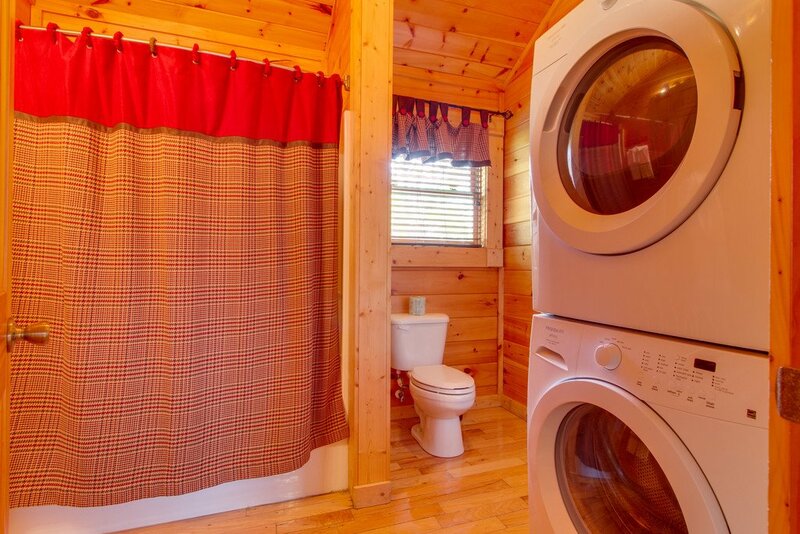 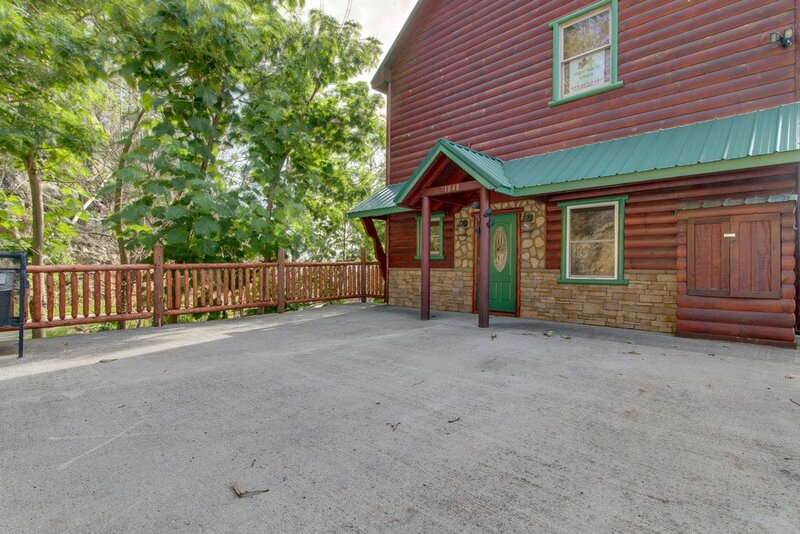 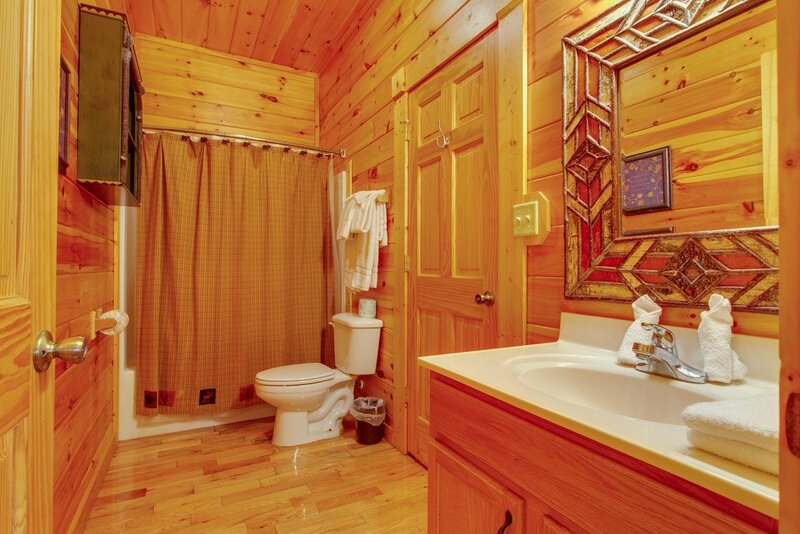 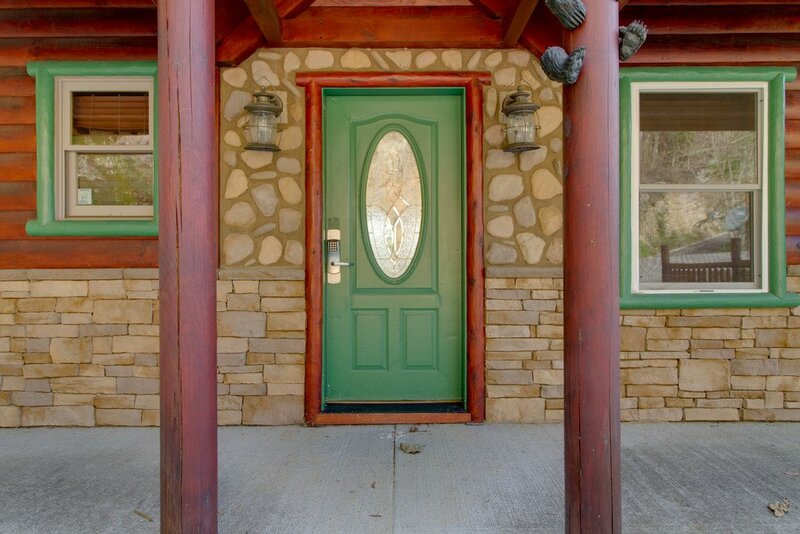 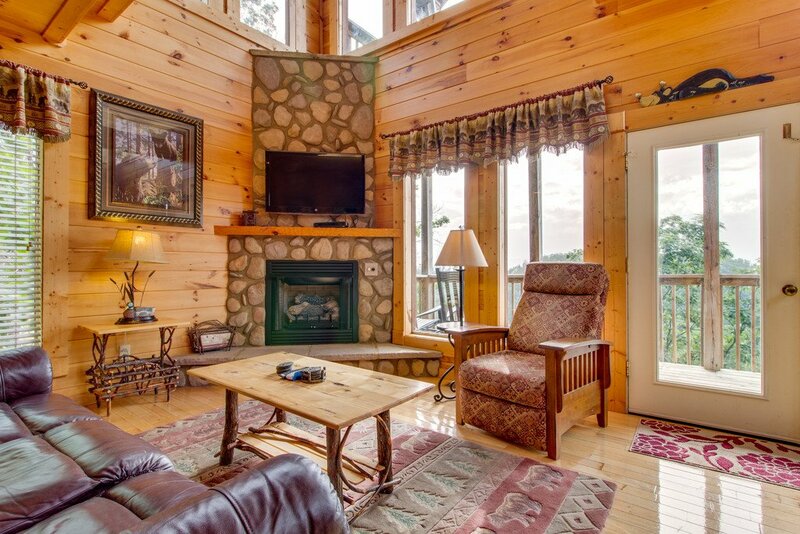 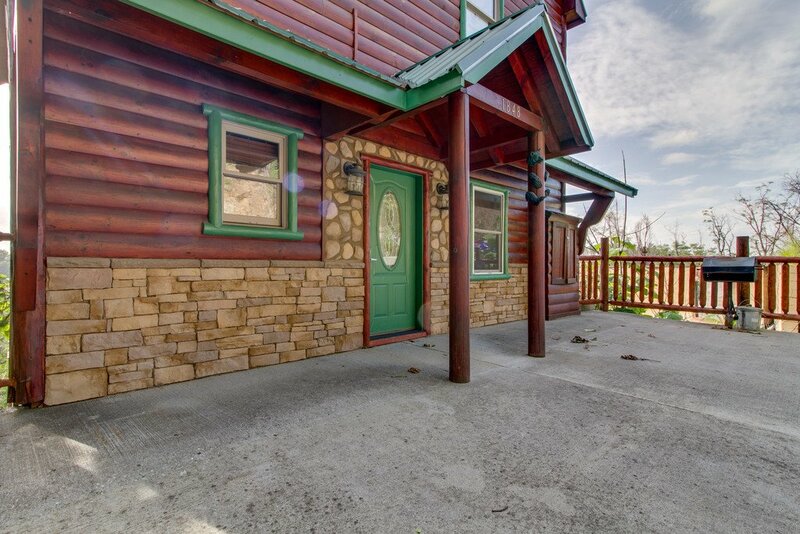 Packed with amenities and conveniently located for easy access to Dollywood, Pigeon Forge and Gatlinburg. 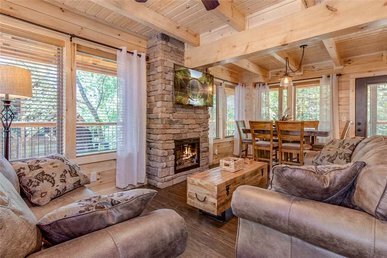 The living area consists of a stylish leather sofa sleeper, a rocker/recliner, and a 50" HD TV with HD programming, Blu Ray/DVD player and gas fireplace. 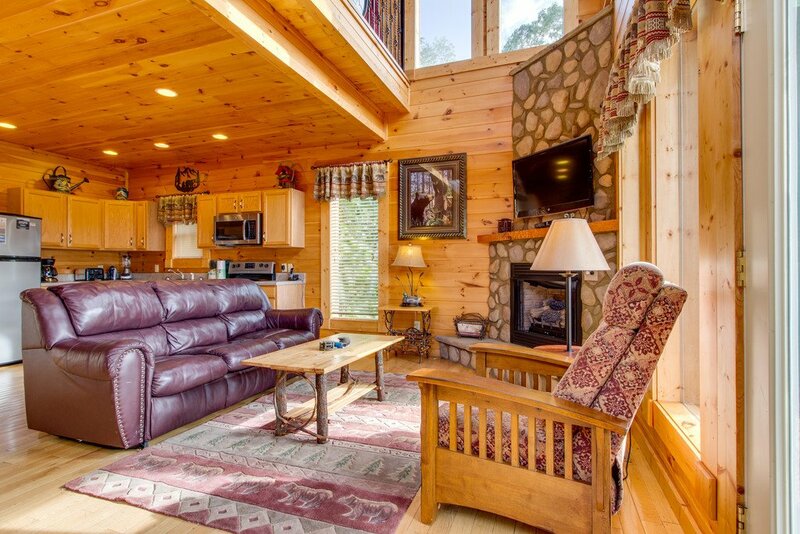 All the televisions have HBO and the NFL Football Package. 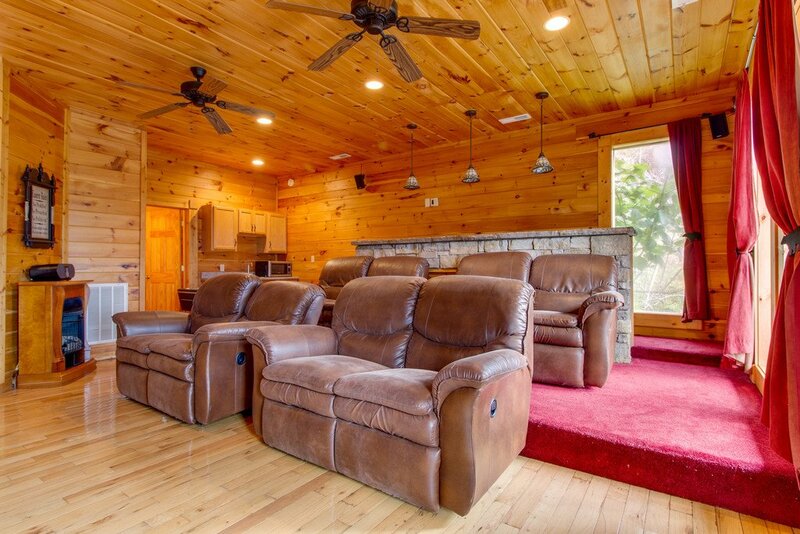 Netflix is also available thru the DVD in the theater room.The main level also has a bedroom that includes a king-sized bed, 27" flat screen TV and a full bath just across the hall. 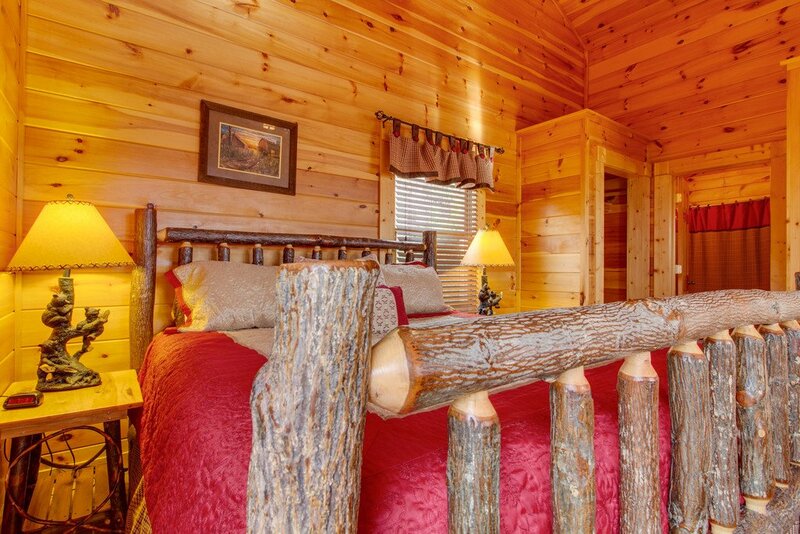 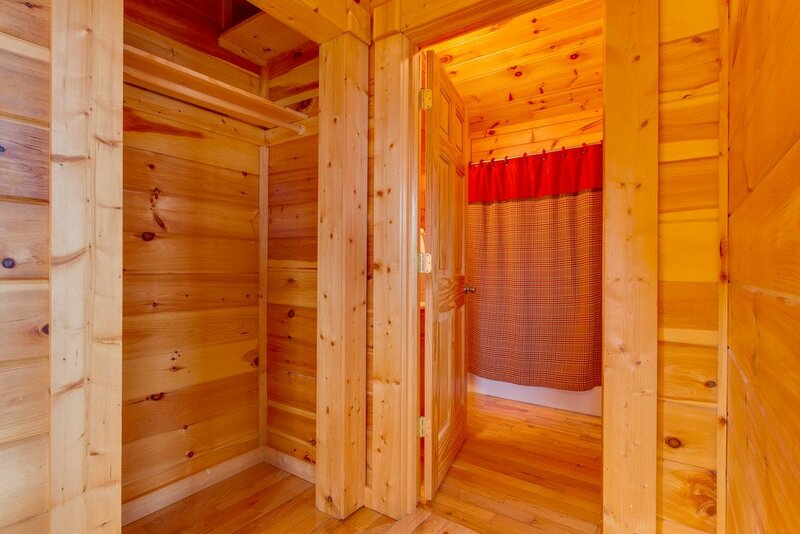 All of the king-sized beds are hand-crafted aspen wood and have a memory foam mattresses. 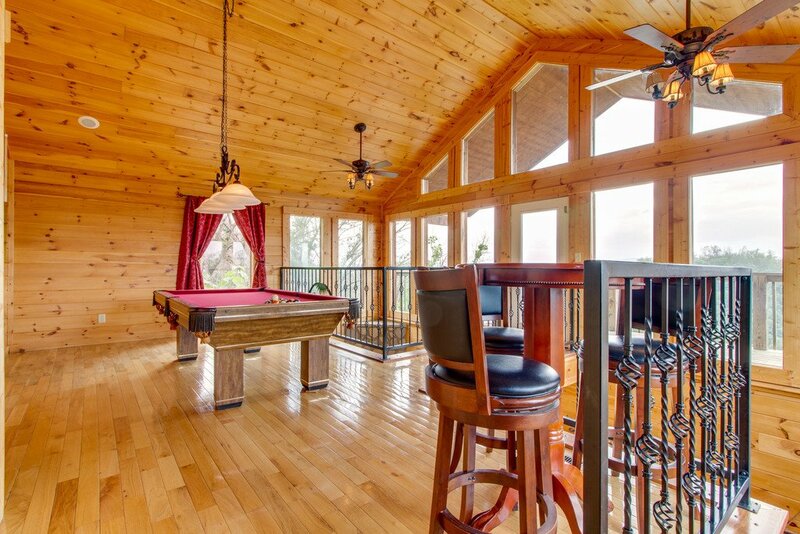 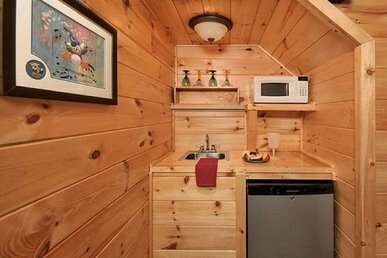 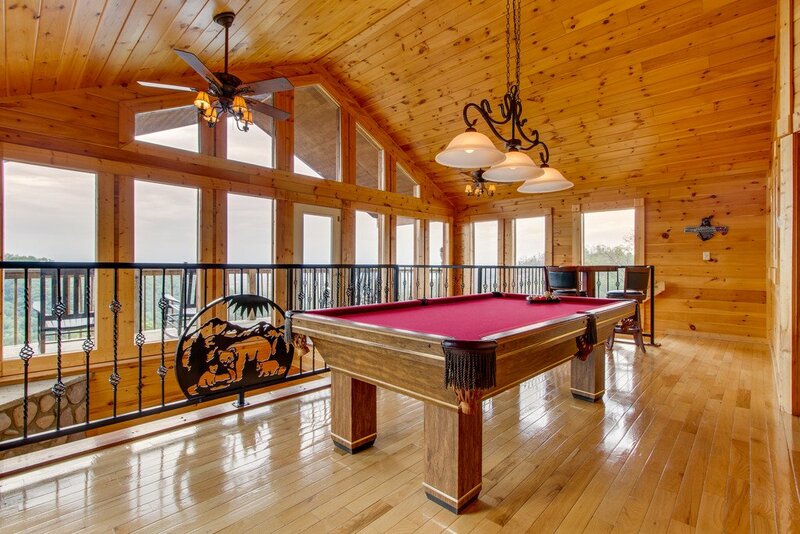 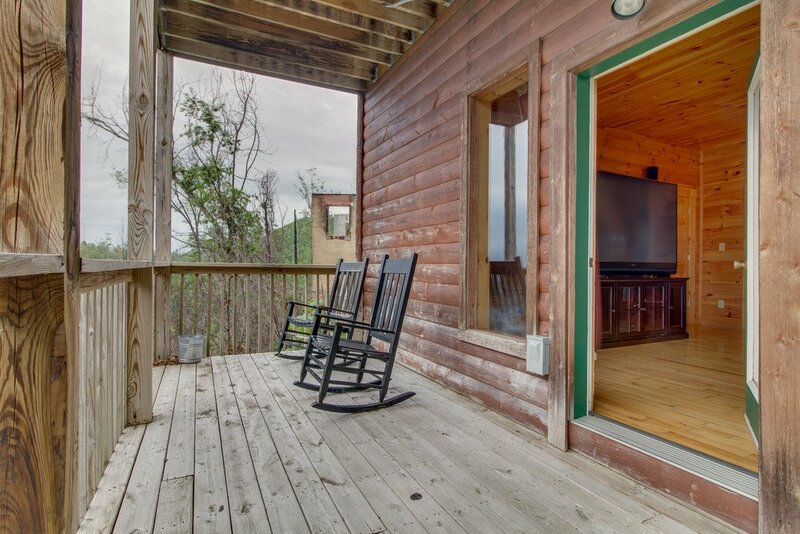 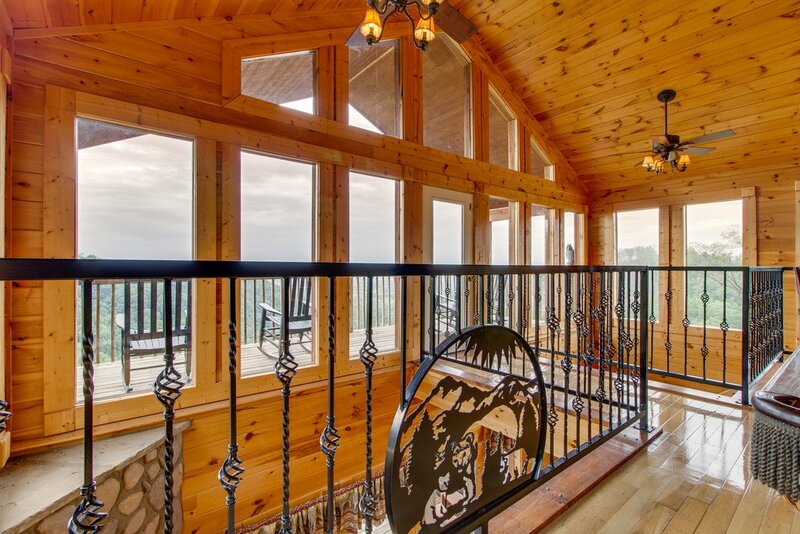 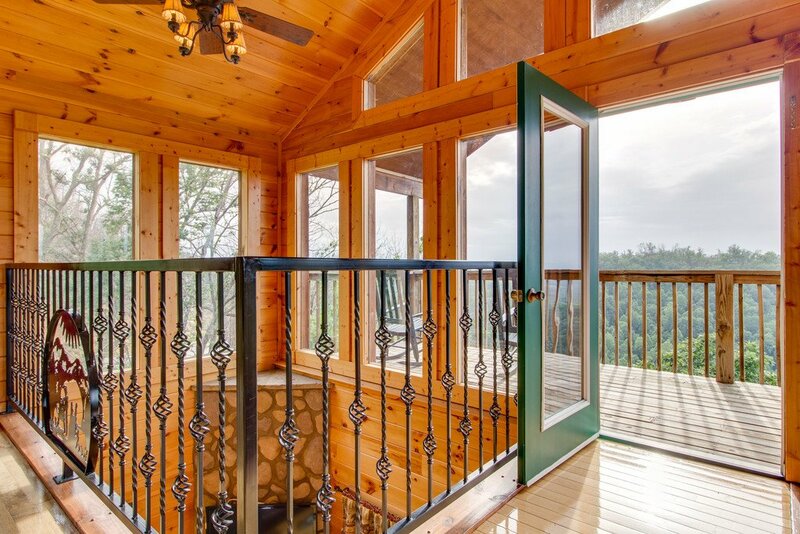 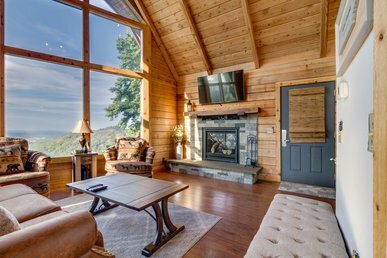 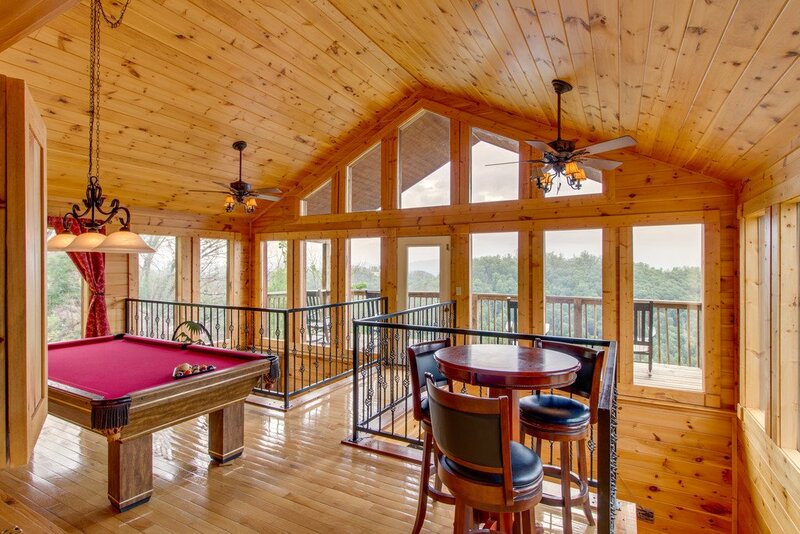 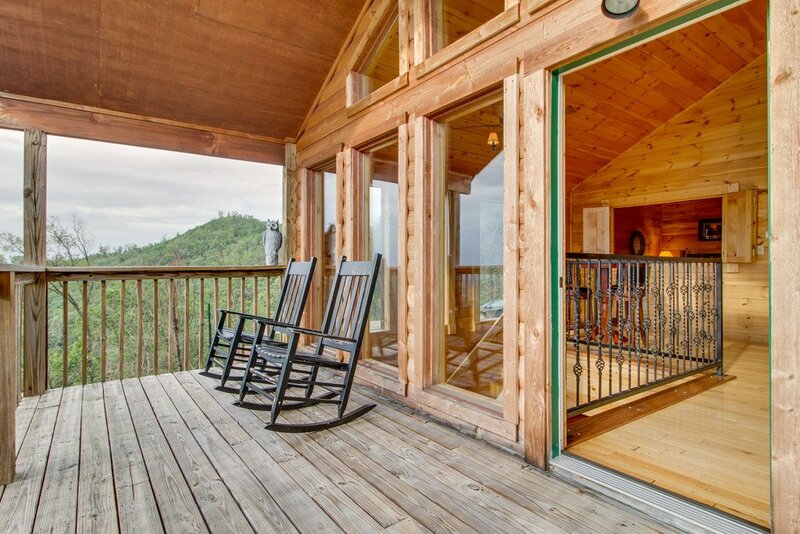 On the upper level there is an open loft game room that includes a pool table, a pub table and a door to the upper level deck with rockers, 6-person hot tub, and an incredible view of the mountains. 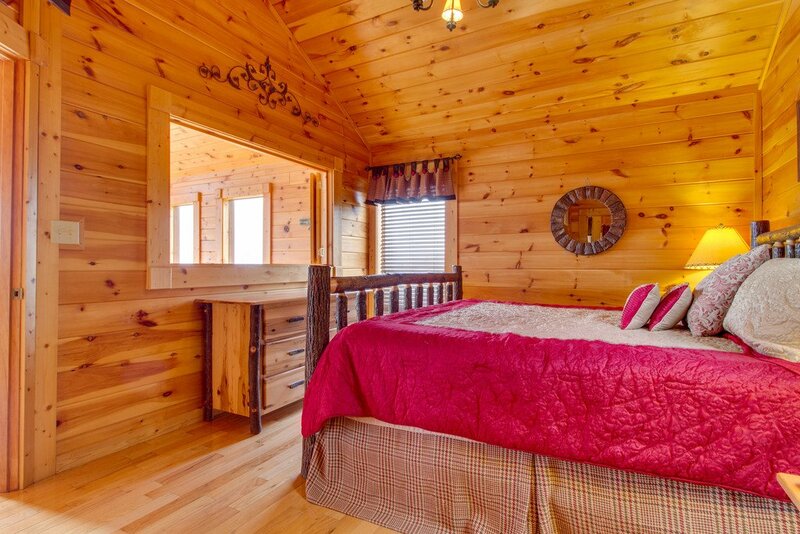 Also on the upper level is the master bedroom with a king-sized bed, 27" Flat Screen TV with Direct TV and a private bath. 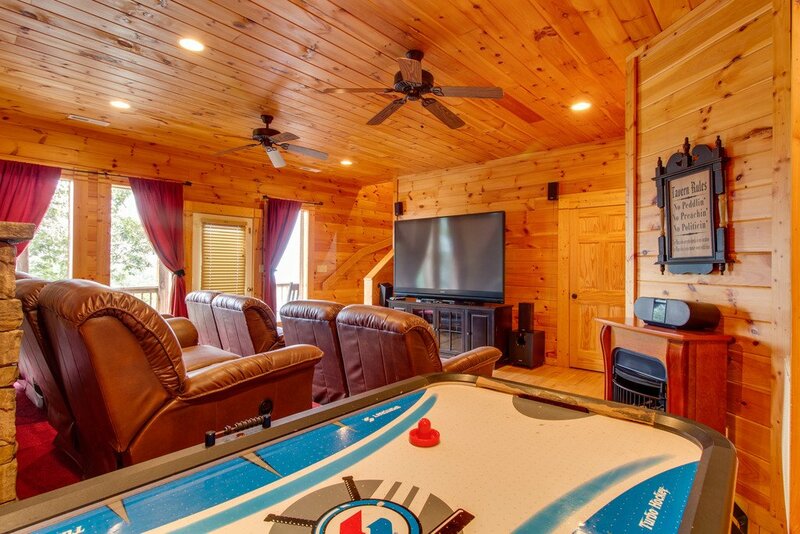 The lower level features a home theater room with an 82" TV with surround sound and four leather reclining love seats. 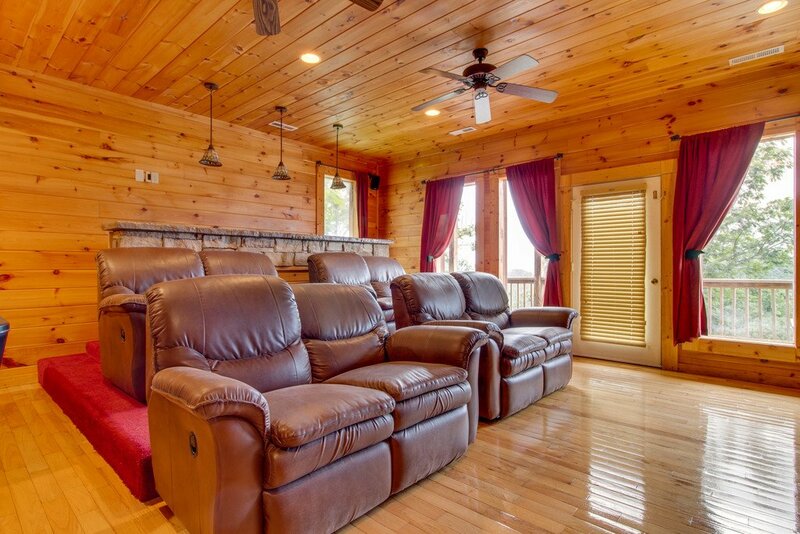 Plus a bar with four chairs right behind the couches gives you a theater setting. 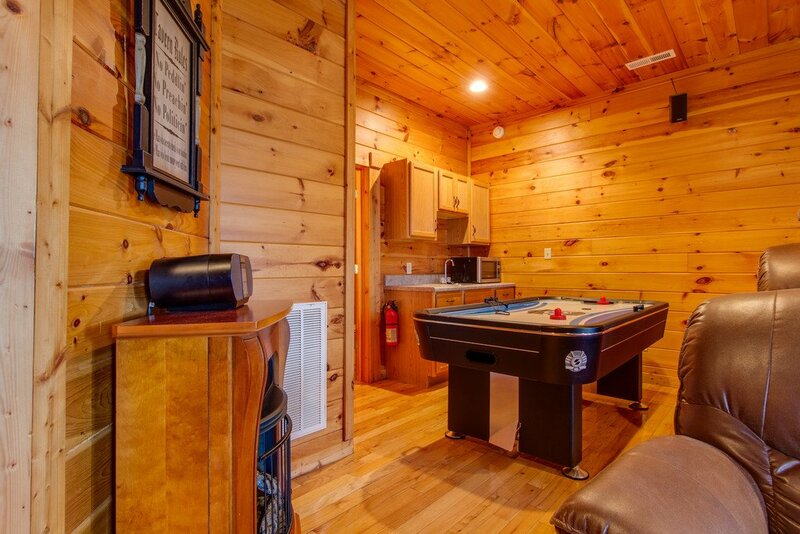 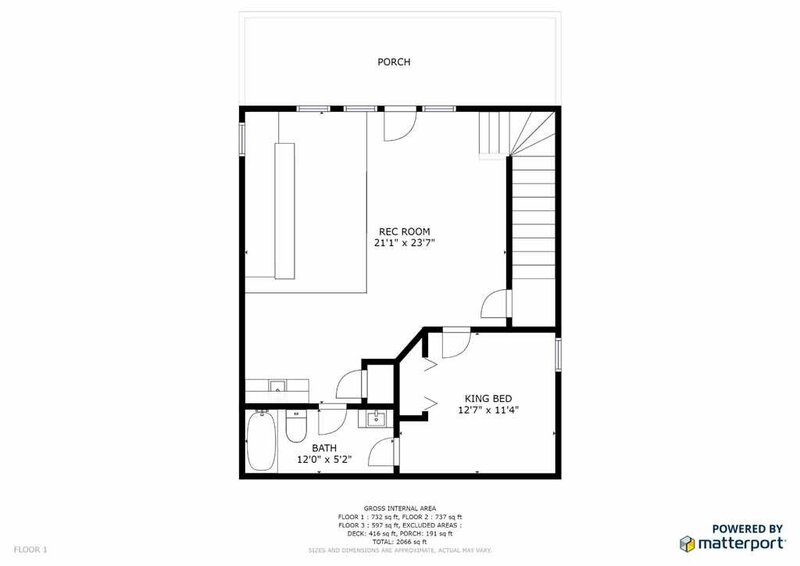 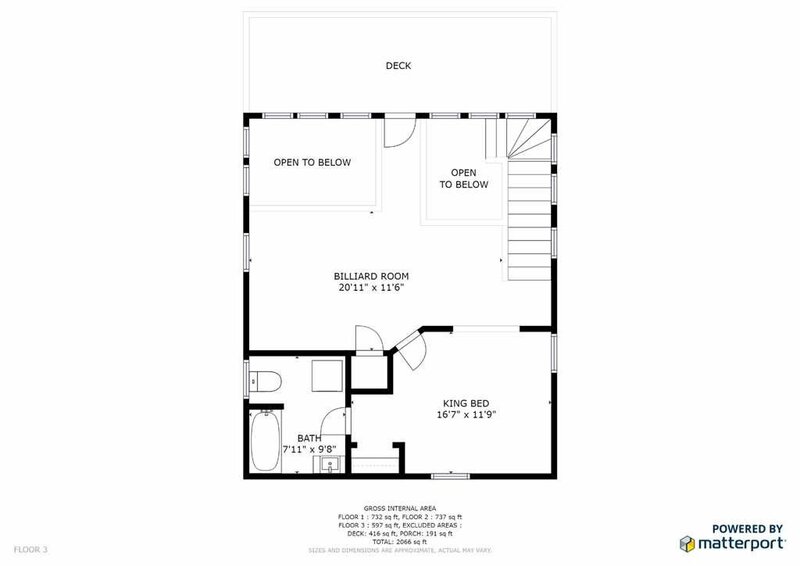 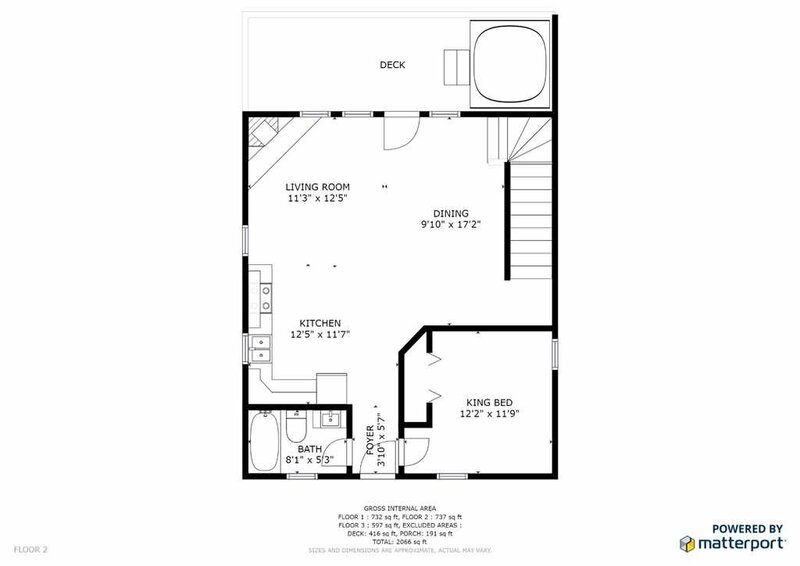 Enjoy the second gas fireplace, an air hockey table and a wet bar with a microwave. 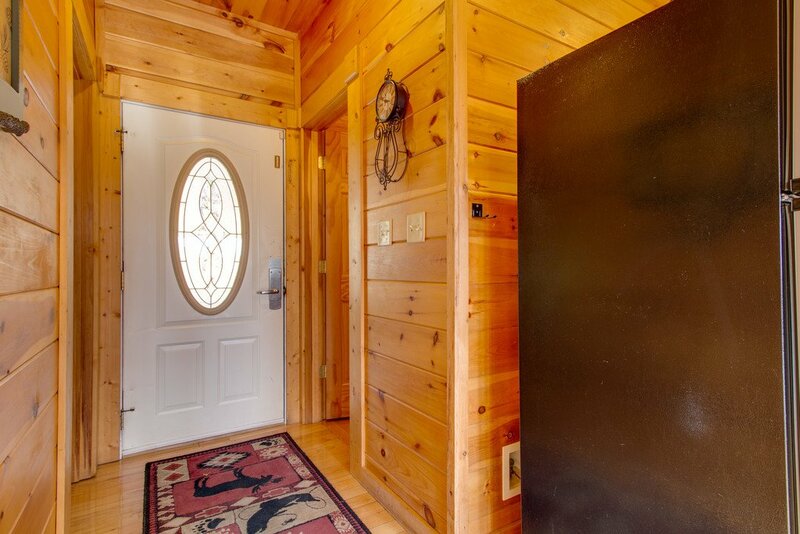 There is also a door to the lower level deck. 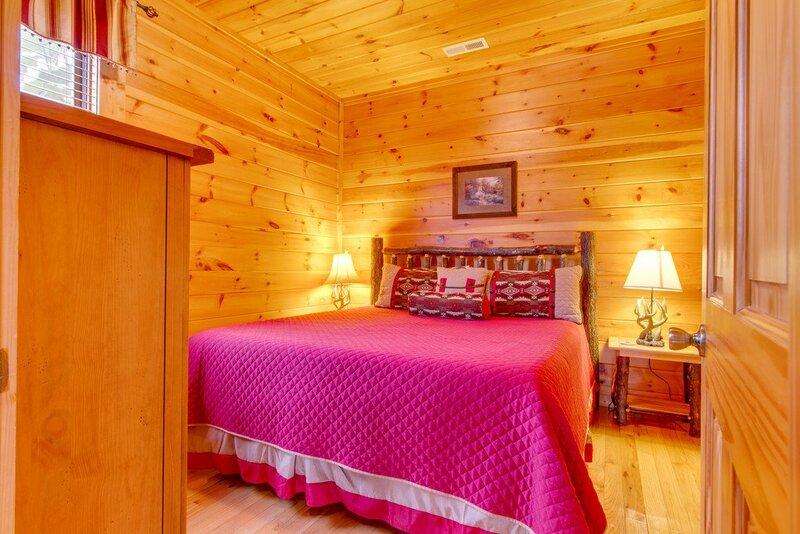 The third bedroom located on this level includes a king-sized bed, 27" Flat Screen TV and a full bath. 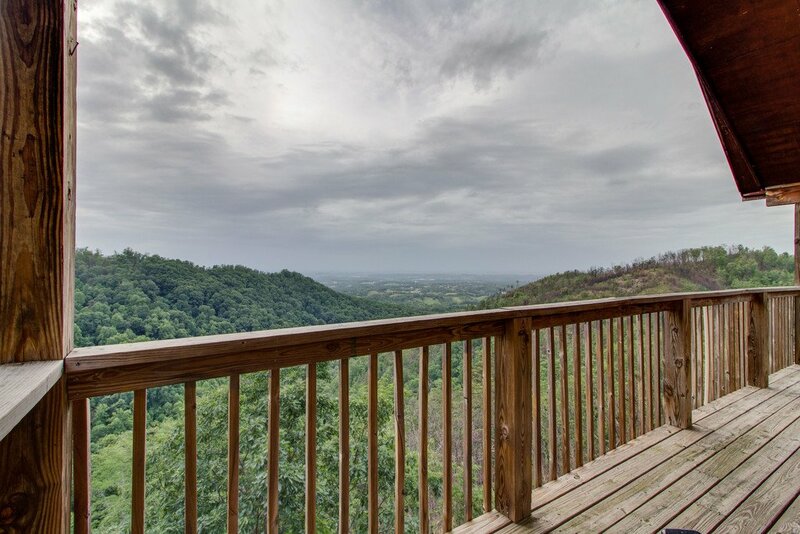 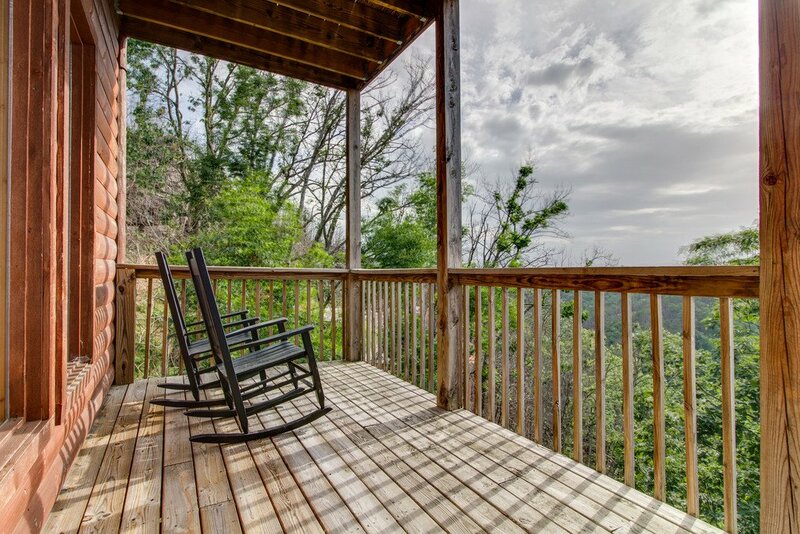 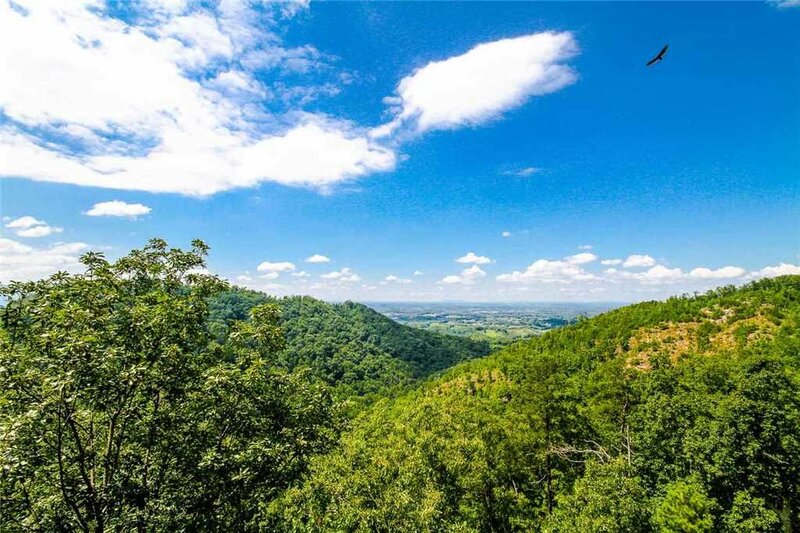 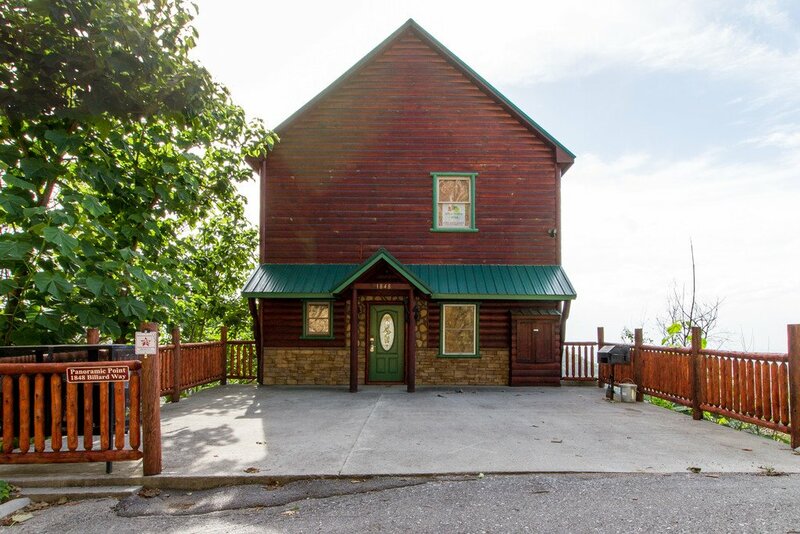 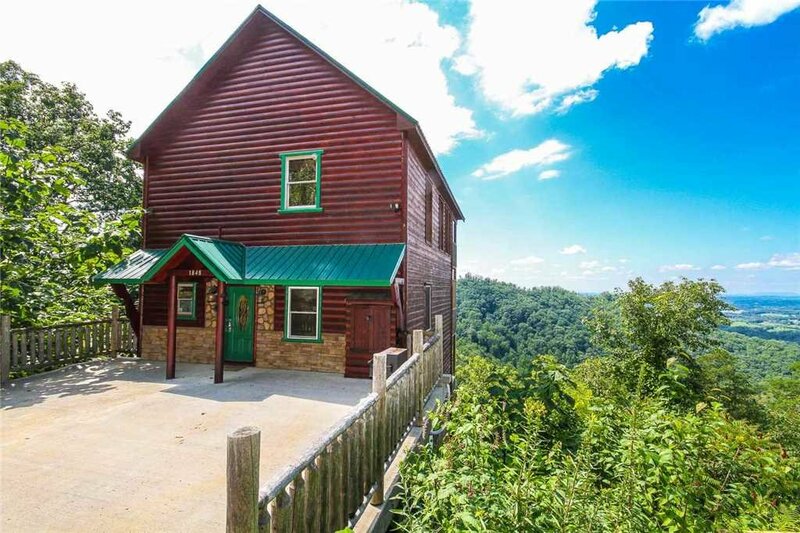 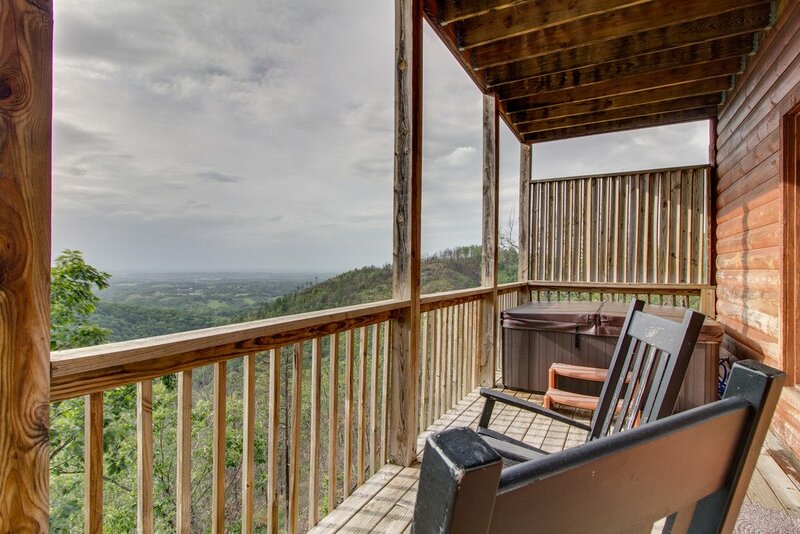 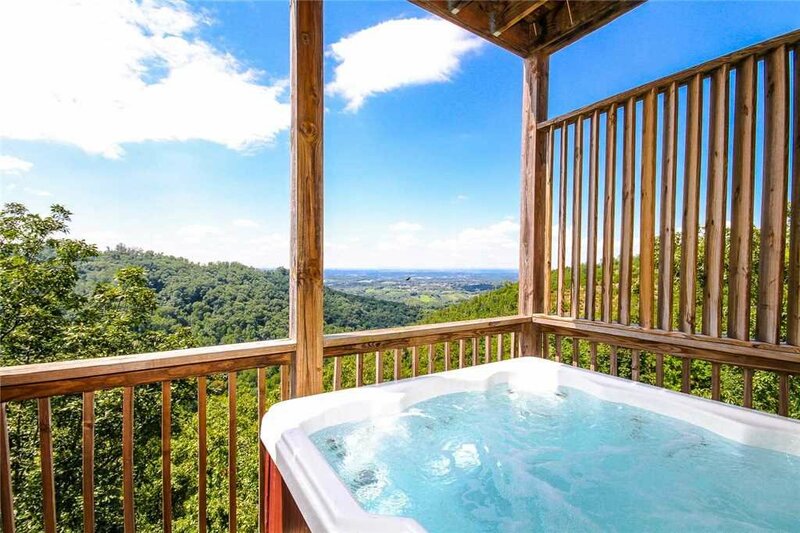 You can be in the heart of Pigeon Forge within minutes from the doorstep of Panoramic Point where an assortment of thrilling attractions can be found. 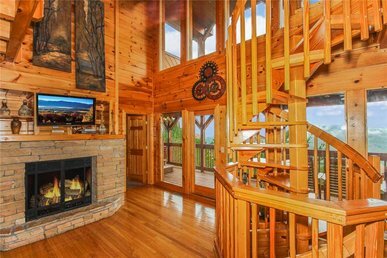 The Island in Pigeon Forge is full fun of shops, places to eat and home to the Great Smoky Mountain Wheel. 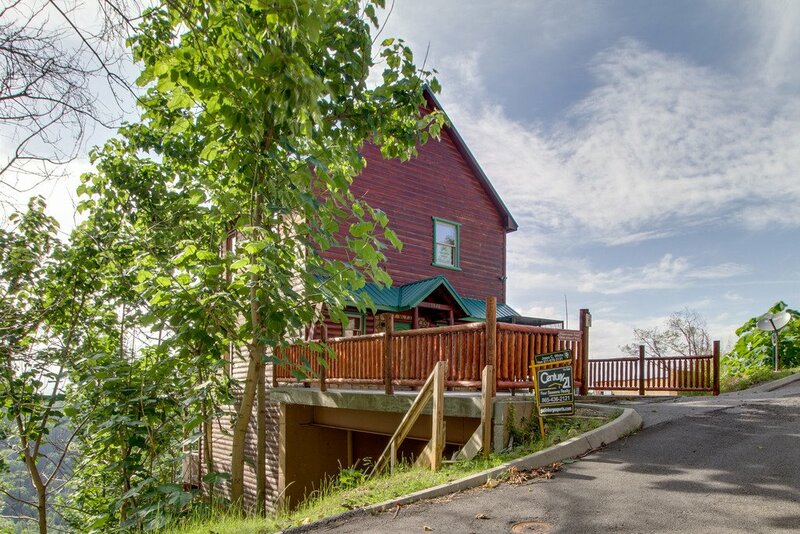 Receive your boarding pass to the Titanic Museum for a step back in time on the great ship. 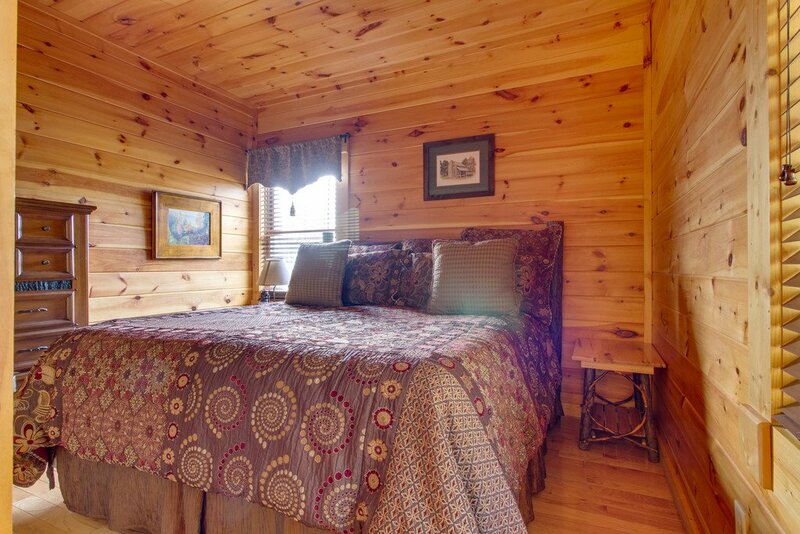 Head out to Dollywood for a family entertainment that can’t be beat. 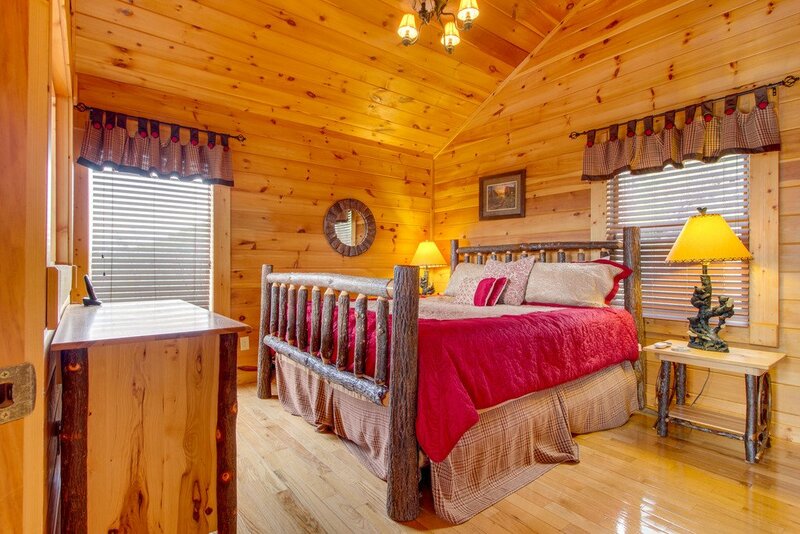 Catch a show with The Smoky Mountain Opry, the largest musical variety show in the Smokies. 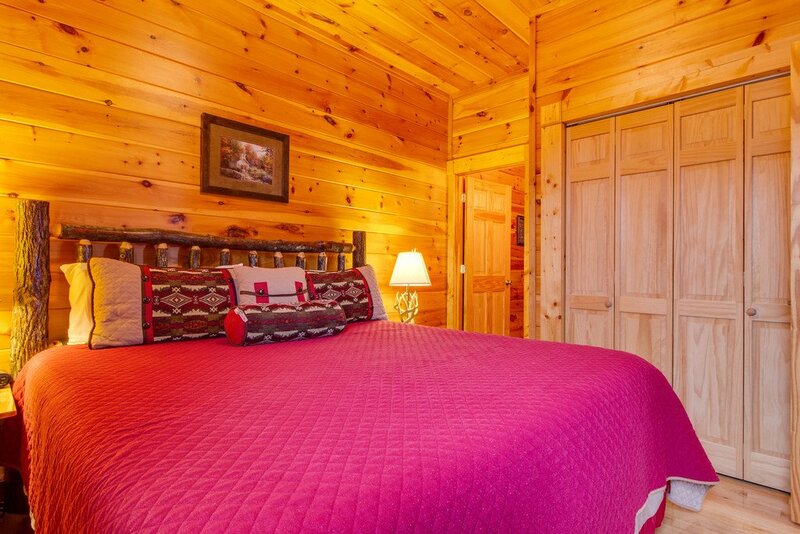 Down the Parkway, visit the charming town of Gatlinburg. 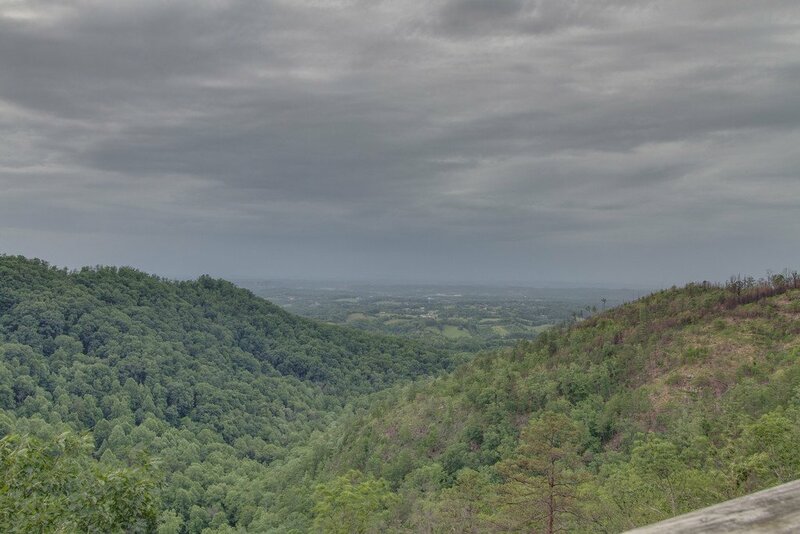 Journey along the Great Smoky Arts and Crafts Community to discover hand-crafted treasures created in diverse workshops along the 8-mile loop. 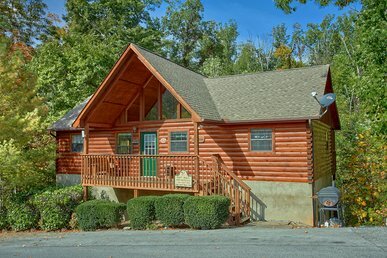 Stop at the Hollywood Star Cars Museum, Ripley’s Believe It or Not Odditorium and Guinness World Records Museum along the downtown strip. 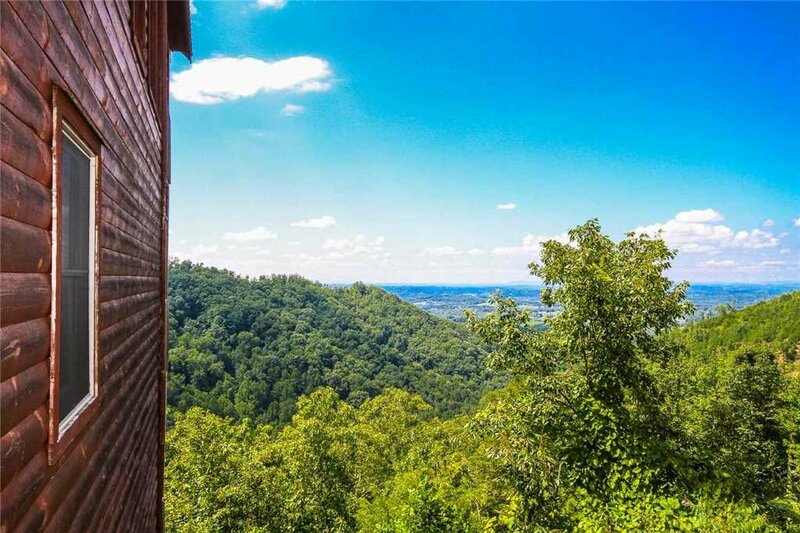 Catch moonshine fever at the Sugarlands Distilling Company, offering free samples of an assortment of flavors and tour the stills to discover how this authentic spirit is made. 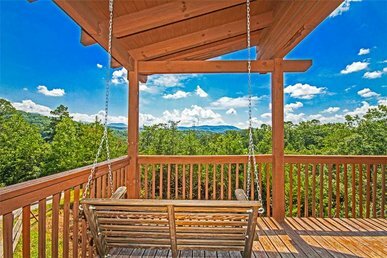 Investigate the majestic Great Smoky Mountains while you auto-tour the Cades Cove valley, go to the highest point in Tennessee at Clingmans Dome or set out on a hike along the many of nature trails within the National Park. 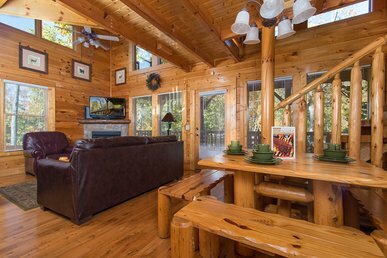 If a fast paced adventure is more of your thrill, zip lining, whitewater rafting, kayaking and horseback riding are readily available. 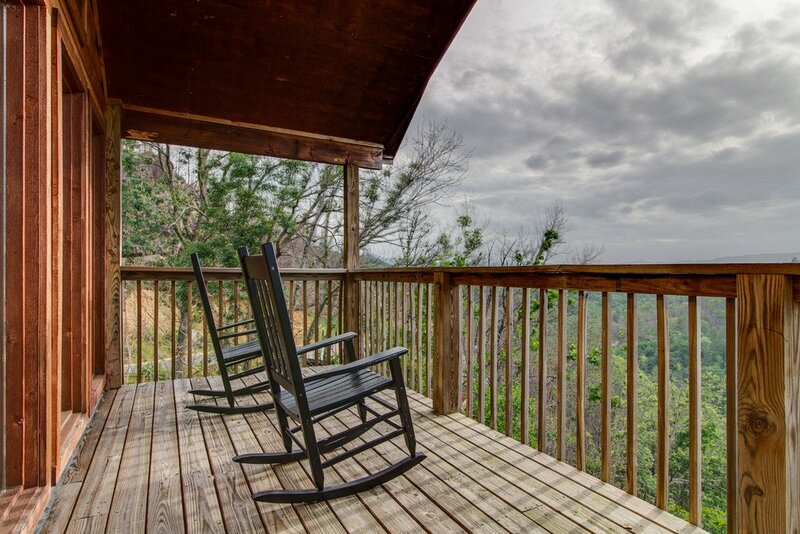 There is always more to see and do while on a Smoky Mountain getaway.